The weather has been so fine after the gloominess of the past week. So, as I am still in the mood for diamonds, I give you the Cullinan family of little sparklers. Without further ado, here is a pictorial history of this magnificent chunk of pure Carbon! The Cullinan Diamond is the largest gem-quality diamond ever found. In its rough state, it weighed 3106.75 carat (621.35 g, 1.37 lb) and measured about 10.5 cm (4.1 inches) long in its largest dimension. It was found on 26 January 1905, in the Premier No. 2 mine, near Pretoria in South Africa. 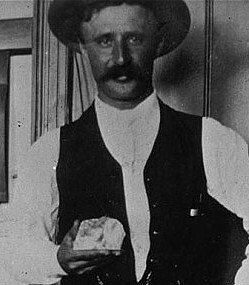 Captain Frederick Wells, superintendent of Premier Mine, one of South Africa's most productive mines, near Pretoria, found the diamond, during his daily inspection of the mines, on the 26th of January, 1905. During his rounds he saw a flash of light, reflected by the sun on the wall of the shaft. As he got closer, he could see a partially exposed crystal, embedded in the rock, however he initially believed it to be a shard of glass, placed by one of the miners as a practical joke. Using just his pocket knife he managed to release the diamond. At 1 1/3 lbs, 3 7/8 inches long, 2 1/4 inches wide and 2 5/8 inches high the diamond was twice the size of any diamond previously discovered. Wells immediately took it for examination. 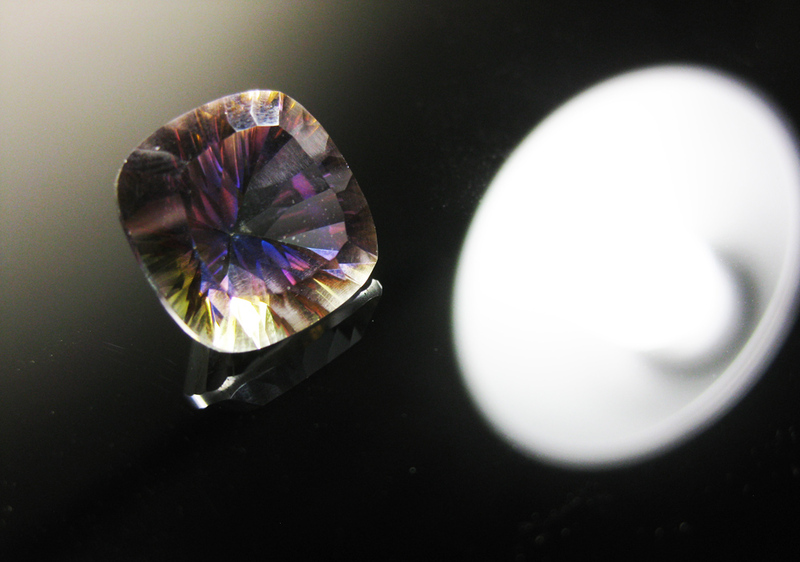 Sir William Crookes performed an analysis of the stone, ascertaining a weight of 3,106 carats. 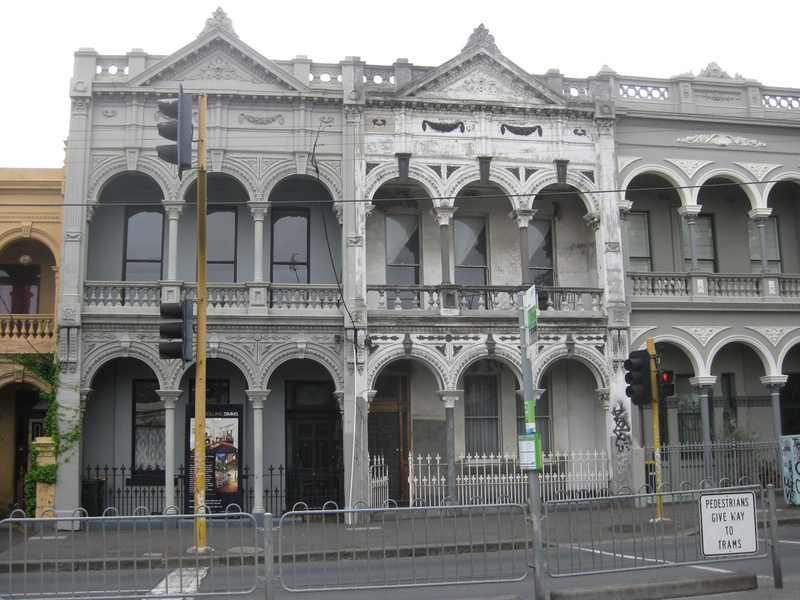 The stone was immediately named after Sir Thomas Cullinan, the owner of the mine. Crookes mentioned its remarkable clarity, but also a black spot in the middle. The colours around the black spot were very vivid and changed as the analyser was turned. According to Crookes, this pointed to internal strain. Such strain is not uncommon in diamonds. Because one side of the diamond was perfectly smooth, it was concluded that the stone had originally been part of a much larger diamond, that had been broken up by natural forces. 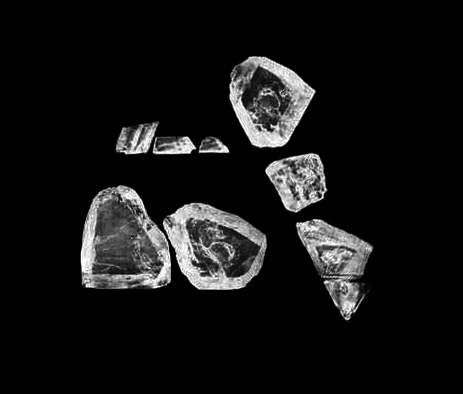 Crookes commented that "a fragment, probably less than half, of a distorted octahedral crystal; the other portions still await discovery by some fortunate miner." Naturally the discovery became a global sensation, with the developments being followed avidly by the press. Wells was awarded ₤3,500 for his find and the diamond was purchased by the Transvaal government for ₤150,000 and insured for ten times the amount. The Prime Minister Botha suggested that the diamond be presented to King Edward VII as 'a token of the loyalty and attachment of the people of Transvaal to his throne and person'. A vote was staged in order for the government to find out what should be done with the diamond. Oddly enough, in the aftermath of the Boer War the Boers voted in favour of presenting the king with the diamond and the English settlers voting against such a move. The final vote was 42 against and 19 in favour. In the wake the vote, the British Prime Minister of the time Sir Henry Campbell-Bannerman decided to leave the decision of whether to accept the gift up to the king himself. However, later prime minister, Winston Churchill eventually managed to persuade the king to accept, to which Edward VII finally agreed. Churchill was presented with a replica of the diamond, which he allegedly delighted in showing off to friends and displaying it on a silver plate. In 1905 due to the immense value of the Cullinan, the authorities in charge of the transportation were posed with a huge potential security problem. Detectives from London were placed on a boat that was rumoured to carry the stone, where a parcel was ceremoniously placed in the Captain's safe and guarded throughout the entire journey. However this was a diversionary tactic. The stone on that ship was a fake, meant to attract those who would be interested in stealing it. The actual diamond was sent to England in a plain box via registered parcel post. Upon receiving the stone safely in England, Sir Francis Hopwood and Mr Richard Solomon (the Agent-General of the Transvaal government in London) travelled from London to Sandringham, Norfolk by train, accompanied by just two experienced Scotland Yard policemen. They reached their destination safely, despite reports of a potential robbery looming. King Edward would later that day present Solomon with the KCVO. The diamond was presented to the King on his birthday, in the presence of a large party of guests, including the Queens of Norway and Spain, Bendor Westminster and Lord Revelstoke. The King had the secretary of state, Lord Elgin, announce that he accepted the precious gift "for myself and my successors" and that he would ensure that "this great and unique diamond be kept and preserved among the historic jewels which form the heirlooms of the crown". It was cut into three large parts by the Asscher Brothers of Amsterdam and eventually into 9 large gem-quality stones and a number of smaller fragments. At the time, technology had not yet evolved to guarantee quality of the modern standard, and cutting the diamond was considered difficult and risky. To enable Asscher to cleave the diamond in one blow, an incision was made, half an inch deep. Then, a specifically designed knife was placed in the incision and the diamond was split in one heavy blow. The diamond split through a defective spot, which was shared in both halves of the diamond. The story goes that when the diamond was split, the knife broke during the first attempt. 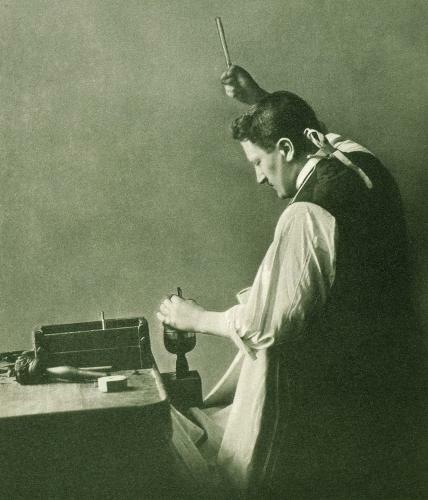 "The tale is told of Joseph Asscher, the greatest cleaver of the day," wrote Matthew Hart in his book Diamond: A Journey to the Heart of an Obsession, "that when he prepared to cleave the largest diamond ever known, the 3,106 carats (621 g) Cullinan, he had a doctor and nurse standing by and when he finally struck the diamond and it broke perfectly in two, he fainted dead away." Lord Ian Balfour, in his book "Famous Diamonds" (2000), dispels the fainting story, stating it was more likely Joseph Asscher would have celebrated, opening a bottle of champagne. 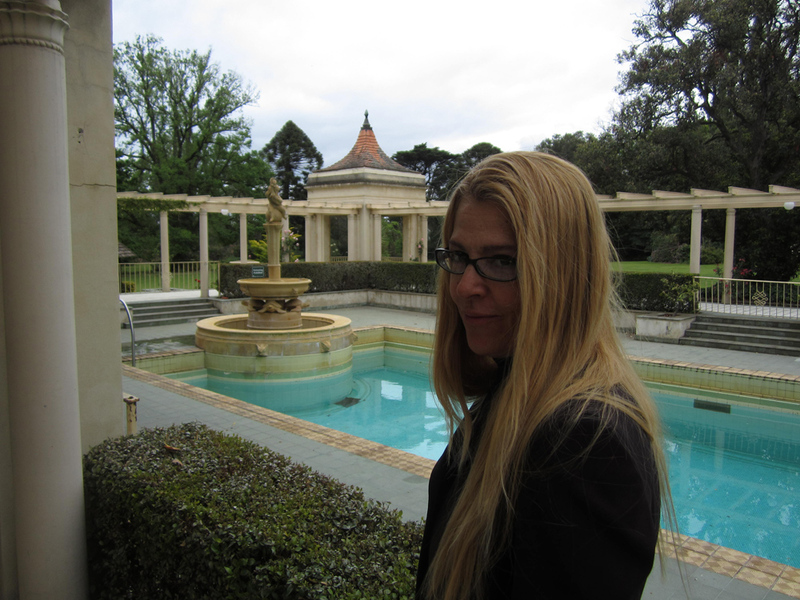 The Cullinan was split and cut into 7 major stones and 96 smaller stones. Edward VII had the Cullinan I and Cullinan II set respectively into the Sceptre with the Cross and the Imperial State Crown while the remainder of the seven larger stones and the 96 smaller brilliants remained in the possession of the Dutch diamond cutting firm of Messers I. J. Asscher of Amsterdam who had split and cut the Cullinan, until the South African Government bought these stones and the High Commissioner of the Union of South Africa presented them to Queen Mary on 28 June 1910. Cullinan I is a 530.2 carat, pear cut diamond and the largest of the Cullinan diamonds. It is also known as the Great Star of Africa, and was set in the head of the Sceptre with the Cross which was reworked for this purpose. It may also be hung as the pendant, on its own or from Cullinan II in a brooch. For this purpose the diamonds have both been fitted with two tiny platinum loops on the edges. Cullinan II, the Second Star of Africa, weighing 317.4 carats and having a rectangular cushion cut, was set in the front of the circlet of the Imperial State Crown. It may also be used together with Cullinan I as a brooch. Cullinan III is a pear cut, 94.4 carat diamond known as one of the Lesser Stars of Africa (along with Cullinan IV). Queen Mary, the queen consort of George V, had Cullinan III set in the surmounting cross of her new crown for her coronation in 1911. 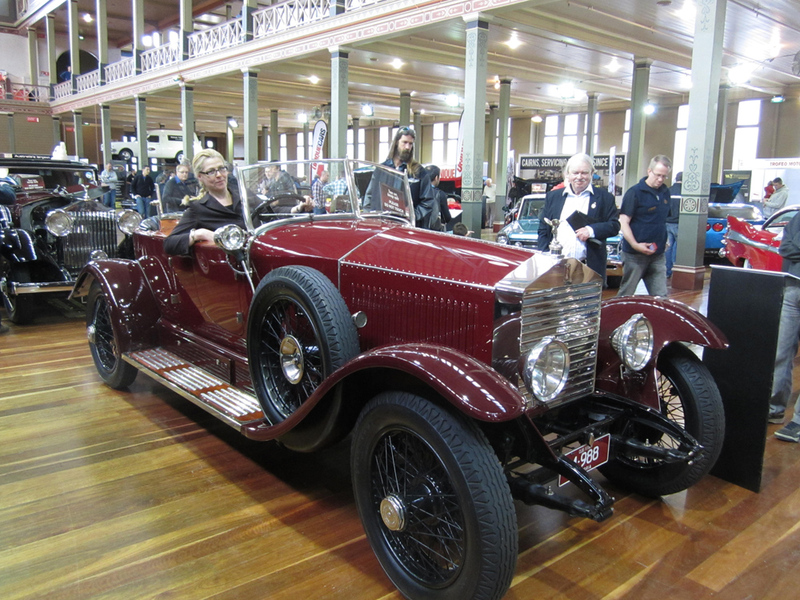 In 1914, however they were replaced by crystal models. After that, Queen Mary mainly wore the crown as a circlet, meaning Cullinan III was not needed. Since Queen Mary's death on March 24, 1953 her consort crown has remained unworn and it is thus unknown if Cullinan III will ever be used again to surmount the Crown of Queen Mary. Presently Cullinan III is most frequently worn as a brooch, in combination with Cullinan IV. Cullinan IV is square cushion cut and weighs 63.6 carats. It was also set in the crown originally, as part of the circlet, However it too was removed in 1914. Since then it was been worn as a brooch along with Cullinan III. Collectively the two diamonds are affectionately known as 'Granny's Chips', by Queen Elizabeth II. This was revealed by Queen Elizabeth II on the 25th of March 1958, while she and Prince Philip were on a state visit to the Netherlands. As part of their tour of the country, the couple visited the Asscher diamond works, where the diamond had been cut fifty years earlier. The occasion marked the first time the Queen had publicly worn the brooch. During the event, the Queen unpinned the brooch and offered it for examination by Louis Asscher, the brother of Joseph Asscher, who had originally cut the diamond. Elderly and almost blind, Asscher was deeply moved by the fact the Queen had brought the diamonds along with her, knowing how much the gesture would mean to him, seeing the diamonds after so many years. The Queen has worn the brooch no more than six or seven times in public during her reign. Cullinan V is heart cut and weighs 18.8 carats. It is set in the center of a brooch forming a part of the stomacher of the diamond and emerald Delhi Durbar Parure. The brooch was designed to show off Cullinan V and has a large number of smaller stones set around it. The brooch can also be attached to Cullinans VI and VII to become a large stomacher, often worn by Queen Mary. Queen Elizabeth II has worn this brooch many times, perhaps making it her most worn piece of jewellery. Cullinan VI is also marquise cut and weighs 8.8 carats. It hangs from the brooch containing Cullinan VIII and forming part of the stomacher of the Delhi Durbar Parure. Cullinan VI along with Cullinan VIII can also be fitted together to make yet another brooch, surrounded by some 96 smaller diamonds. The design was created around the same time that the Cullinan V heart shaped brooch was designed, with them both having a similar shape. Cullinan VII is marquise cut and weighs 11.5 carats. Originally given by Edward VII to Queen Alexandra. 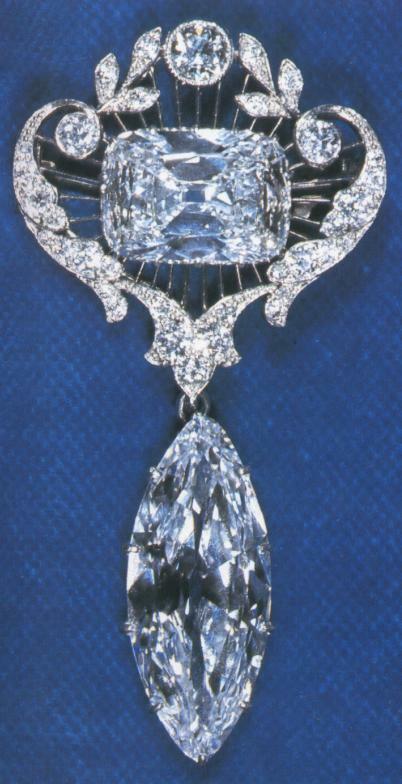 After his death she gave this stone to Queen Mary, who had it set as a pendant hanging from the diamond and emerald Delhi Durbar Necklace, of the Delhi Durbar Parure. The Cullinan VIII is set in the center of a brooch forming part of the stomacher of the Delhi Durbar Parure. It is cushion cut and weighs 6.8 carats. Together with the Cullinan VI it forms a brooch. Queen Elizabeth II inherited this brooch in 1953, however in contrast to the Cullinan V heart brooch, she has never been seen wearing it in public, claiming that 'it gets in the soup'. The Cullinan IX is the final large diamond to be obtained for the Cullinan. It is pear cut and weighs 4.4 carats. It is set in a platinum ring, known as the Cullinan IX Ring. Cullinan IX - a nice ring! You have probably seen cut gemstones (or synthetics) in jewellery shop windows that have a fantastical, colourful aura about them? Well, unless it is actually a naturally occurring, zillion dollar gem, anything less will probably be described as "mystic", as in mystic topaz or mystic quartz, etc. What you probably didn't know is that these stones have been coated with a ultra-thin layer of metallic titanium. This coating generates interference patterns in light much like oil spread on water does, leading to a rainbow of colours in the stone. What gems do you need? Amber is harmonious and soothing, calming and cheering. Moonstone allows one to focus on nurturing oneself. Morganite is a heart-stone, allowing love into your life. Sodalite Rationalises and aids clear thinking, brings clarity, truth and creative expression. Snowflake Obsidian Enhances purity and balance, promotes re-alignment of thought patterns. Sugilite calms and balances the emotions, instilling a sense of freedom and spiritual awareness. Tourmalinated Quartz Aids in balancing extremes and eliminates destructive influences. Unakite balances the emotions and gives an awareness and understanding of subconscious blocks. Can facilitate the re-birthing process. Wulfenite is a yellow-orange stone of rejuvenation. Enhances understanding. Went to CTC last night to see their screening of The Age of Innocence, a great film by Martin Scorcese. One of the stars of the film, Miriam Margolyes, was there to talk a bit about it and answer questions, afterward. A good night was had by all. In addition to the luxurious decor and costumes, the dining scenes with closeups of the lavish table settings and exquisite food, was a particular highlight for me. I have had food on the mind since. Despite the hot weather outdoors, the oven was on today so I made the most of it. Not quite fine dining, a la Gilded Age, but certainly passable for this day's efforts - R-L Soy Ginger Chicken Drumsticks, Spelt Bread, Rhubard Apple Crumble (using Samantha's gift of Rhubarb), Chocolate Orange Marble Cake with Fudge Frosting.